L’Orange: Été begins with a vibrant sunset, glowing textures of the fleeting moments of a late afternoon. It is alive with waves of green and blue, fauna of pale greens and teals, flora of purple and white, white, white. 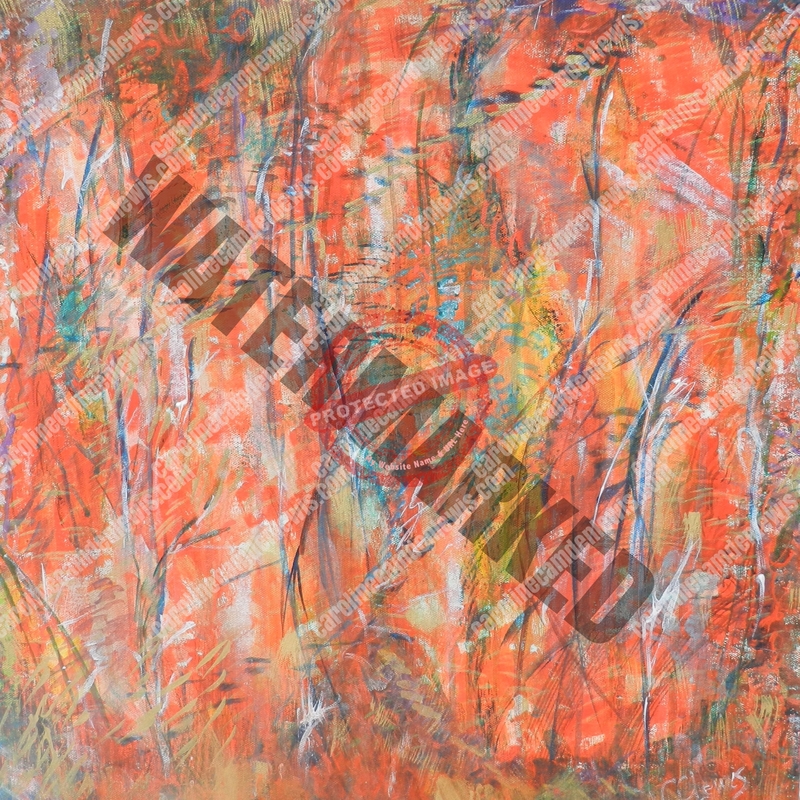 A fusion of brushstrokes, drip effects and color create a party, a celebration, a festal work on canvas. It is a L’Orange: Été. The title L’Orange: Été comes from the French for Orange: Summer.